In an interview with Khamenei.ir on Wednesday, Zarif underlined that Tehran will be keeping pressure on the European parties to the Joint Comprehensive Plan of Action (JCPOA) to honor their commitments. 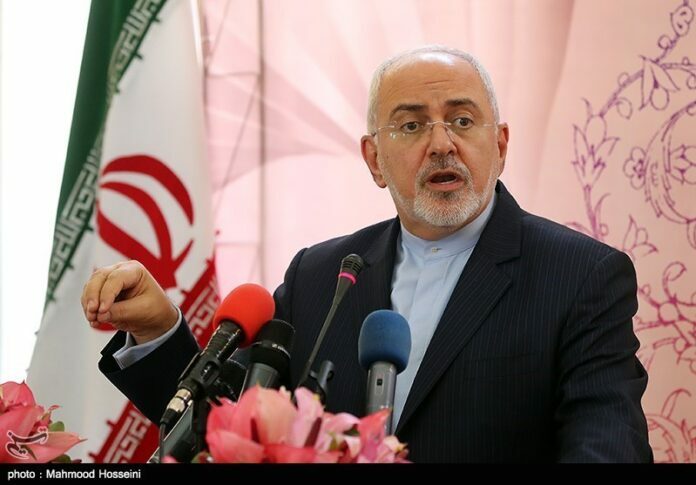 “Europe must know that it could not shirk its responsibilities with only a number of comments or a few unimplemented plans,” the top Iranian diplomat noted. Zarif said while the Foreign Ministry continues to warn Europe and pressurize it to carry out its undertakings, Iran will never pin its hopes on Europe. “Europeans considered the JCPOA as an achievement from the beginning, but maybe they are not prepared, and definitely lacking enough power, to stand against the US sanctions (on Iran),” he added. Citing Leader of the Islamic Revolution Ayatollah Seyed Ali Khamenei’s comments about Europe’s insufficient efforts for saving the JCPOA, Zarif said Europe was not prepared to pay the price for something with strategic importance, as they claim themselves. The minister also noted that Iran has made a great deal of efforts to boost ties with the neighbors and old allies, such as Russia, China, Turkey, and Iraq. In May 2018, US President Donald Trump pulled his country out of the JCPOA, which was achieved in Vienna in 2015 after years of negotiations among Iran and the Group 5+1 (Russia, China, the US, Britain, France and Germany). Following the US exit, Iran and the remaining parties launched talks to save the accord, but none of the European initiatives to maintain trade with Iran and foil the US sanctions has had practical results. In an address in Mashhad on the first day of the current Iranian year on March 21, Ayatollah Khamenei said Europe has left the JCPOA in practice. “Recently, it is constantly being said that they (European) have created a financial channel. Well, it sounds more like a joke! Of course, it is a bitter joke. This financial channel does not make any sense. There is a world of difference between what constitutes their duties and what they are saying in the present time. On our last international issue, the Europeans stabbed us in the back, just like what they did in the past. They betrayed us. They cannot be expected to do anything. We cannot have any expectations of them,” the Leader underlined.